With this Gears of War Crimson Omen beanie you can show everyone what video games you are into through the use of your every day wear. This beanie is great for every occasion as its reversible design ensures that you can adjust it to suit each event allowing you to wear it at all times. This Gears of War Crimson Omen beanie is perfect for winter as its thick material will help to keep your head feeling warm throughout the cold winter months. 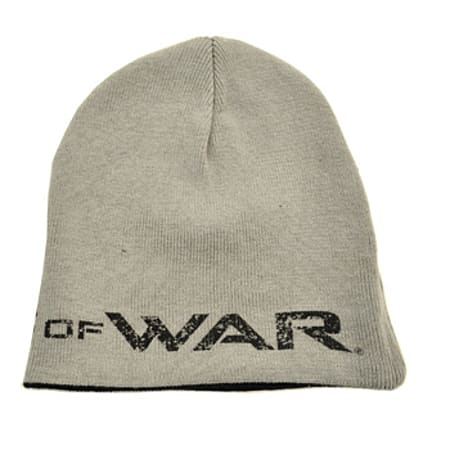 Two Hats In One For Any Serious Fan Of The Gears Of War Franchise With This Beanie!Featuring a cool and simplistic design, this Gears of War Crimson Omen beanie will give you the opportunity to promote your favourite game to people you pass down the street. 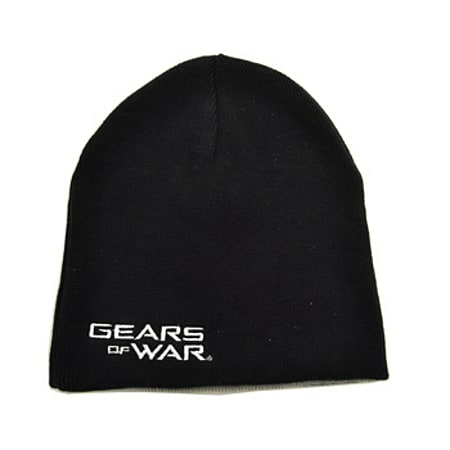 One of the designs featured on this beanie consists of a black background with a red embroidered Crimson Omen logo on the front with a Gears of War logo on the back. 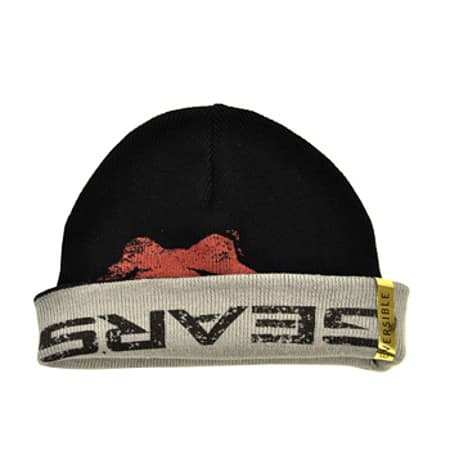 The other design featured on this Gears of War Crimson Omen beanie consists of a light grey background with a black faded Gears of War logo on the front. Manufactured from 100% cotton, this Gears of War Crimson Omen beanie is extremely comfortable to wear giving you the chance to keep warm throughout your day with ease. The strong construction of this beanie ensures that it is able to withstand some of the harsh weather conditions that we face in winter. So be sure to order yourself a Gears of War Crimson Omen beanie today and you can start promoting your favourite game right away.